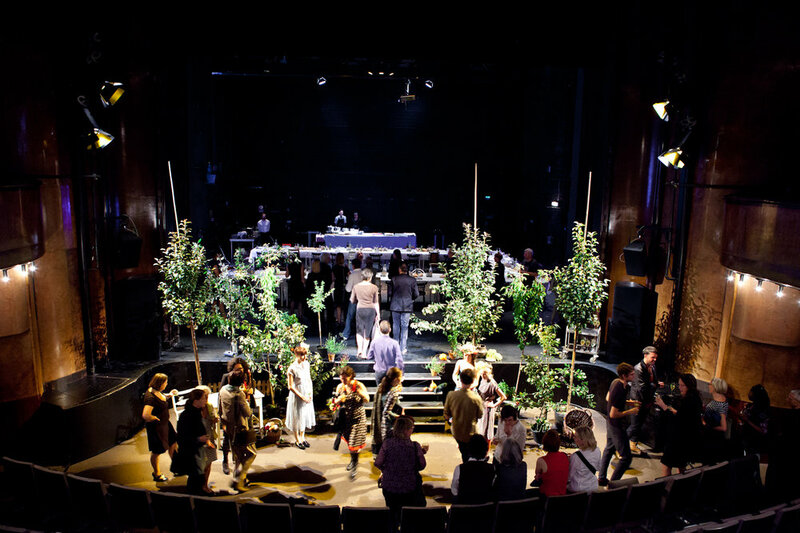 This storytelling dinner event was conceptualized and implemented in cooperation with Telse Bus in order to honour the production manager of the European Dance Theatre and wish her farewell. To give tribute to her career, the dinner was staged at the Hebbel Theatre (HAU) in Berlin. In four acts, the dinner told several stories and anecdotes from her life by the style of the setting, the manner of dining and the choice of meals. The whole setting was inspired by a big family style garden party during the harvest season in a rural idyll. 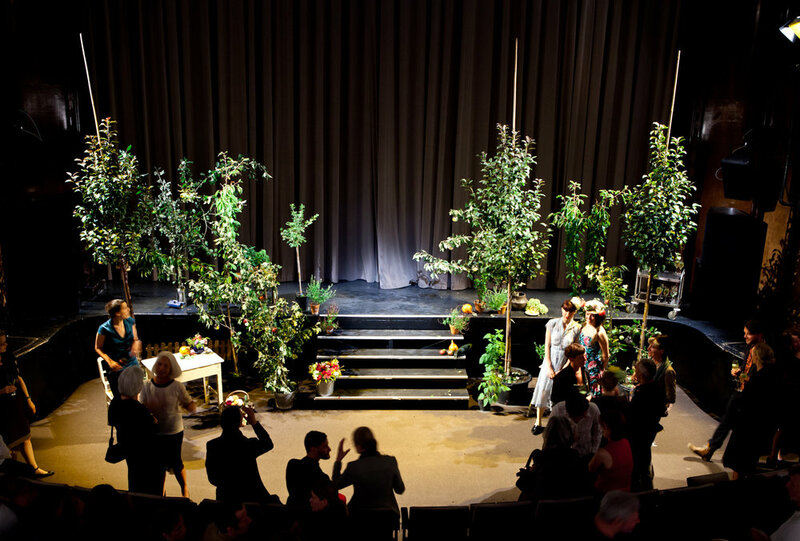 For the first act, titled »The Smell of Apples«, I staged the installation of The Secret Garden. 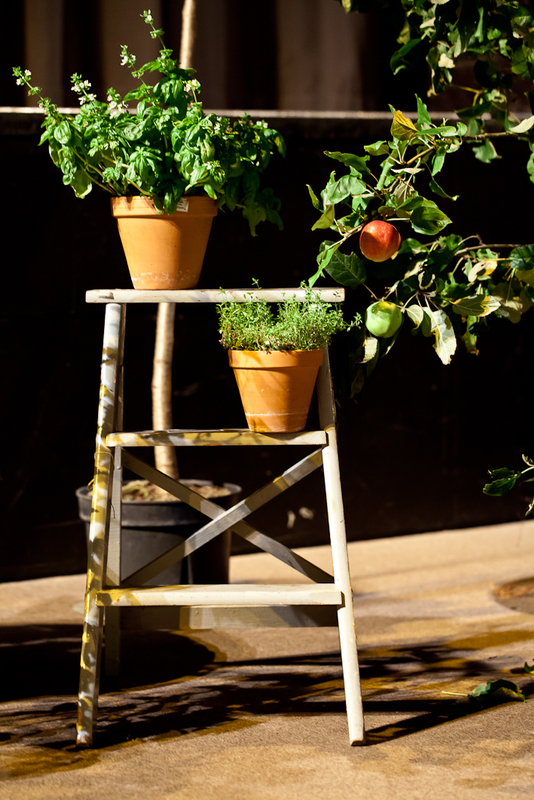 Singing birds, apple trees, pots of herbs, various kinds of apples, pumpkins and dahlias transformed the space in front of the dining scene into an enchanted late summer garden. 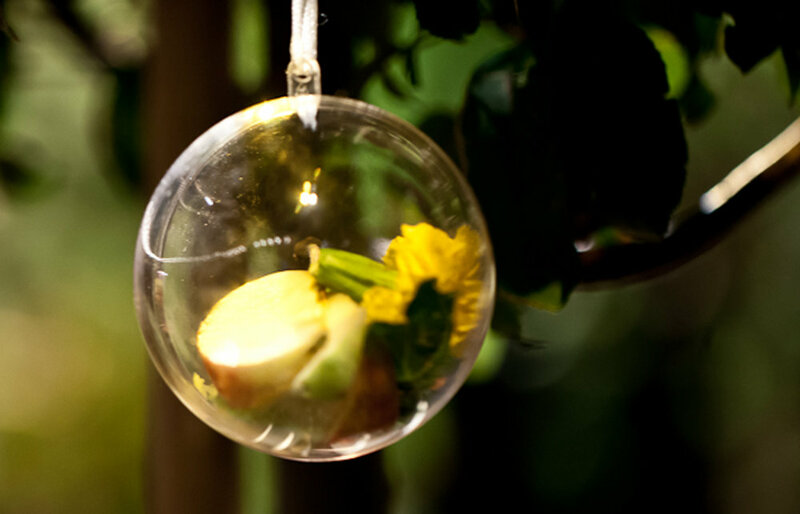 The guests themselves were involved in the scenery by picking »edible messages« which hung in transparent bowls from the trees. These messages connected guests with the main person of the day, revealing and telling little stories from her life.